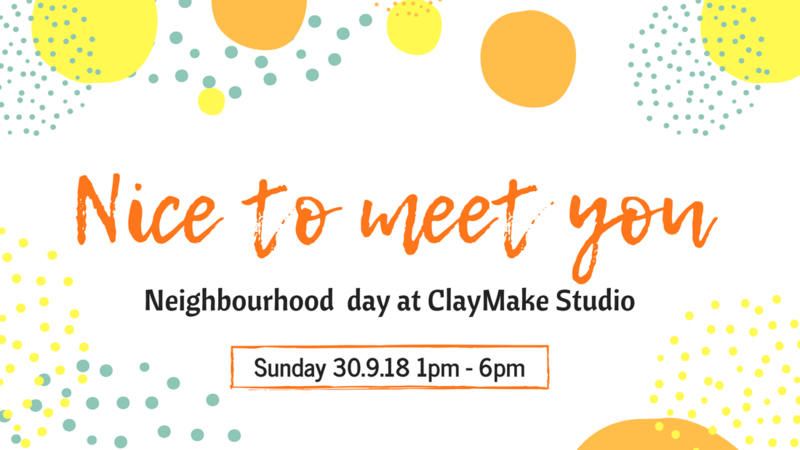 ClayMake Studio is having a neighbourhood day! Been thinking of dropping by? Here's the perfect chance! Come and have a look around, join us for a coffee, and mess around with some clay!